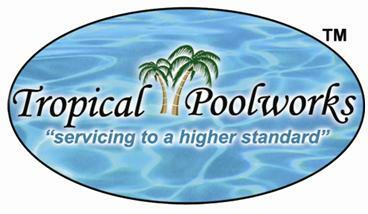 Tropical Poolworks was founded with the idea of taking the industry to a higher standard of service and quality. Our employees are extensively trained, certified, and have an extensive knowledge of water chemistry. We take over the total care of your pool as it were our own and leave you with only two things to do…. Swim and Enjoy. We are dedicated to customer service and satisfaction. 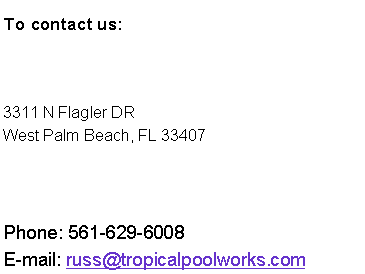 We are not just another company of “pool guys”, we are professionals and it shows through our dedication to quality in everything we do.